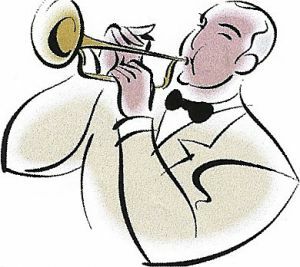 On the last Friday of each month there is a 'Big Band Concert'. Comprising of a 18 piece big band plus vocalist's. They play a variety of music for all tastes, songs that you will know, tunes that you were brought up listening too, even the odd one or two that you might have forgotten - bringing back memories for you. The standard of the music is second to none, all of the bands are the the best in the area and not to blow our own trumpet (excuse the pun) these concerts are the best big band shows in the North West, only shows at Bridgewater Hall and at the GMEX etc can compare with them. Ron Hayes, Newlights, Double B, Manhattan Sound, Swingshift, Tony Greenwood, Swingtime, Big Band Theory, Dr Jazz & Cheshire Cats, Salford University. We are always looking for new bands. 3 x 45 minutes sets with two breaks of approximately 20 minutes. During this time we run a raffle, so you may be lucky and win a prize as well as be entertained. If you need more information please contact Ian Gordon. Promotor & Compere. Please come along - you will not be disappointed. You will have a great night and a good start to the weekend. Copyright © 2014 - 2019 Cheadle Hulme Conservative Club. All rights reserved.